Bayfield senior Jordan Lanning, who this week signed with Colorado State University, ran to a stadium record in the 100-meter hurdles Saturday at the Pine River Invitational at BHS. She set three stadium records during the meet. Durango High School’s Madeleine Burns runs during the girls 4x800-meter relay on Saturday at the Pine River Invitational at Bayfield High School. Durango High School’s Alex Hise lands during the long jump in Saturday’s Pine River Invitational at Bayfield High School. BAYFIELD – A cold front rolled through the middle of Saturday’s Pine River Invitational inside Wolverine Country Stadium, and while there were flurries and cloud cover, nothing cooled down red-hot Bayfield senior Jordan Lanning, as she set three new stadium records and won all four events she competed in during her final home meet. Lanning set the stadium record in the 100-meter hurdles with a time of 15.30 seconds, the high jump with a leap of 5 feet, 8 inches and the long jump at 18-9.25. She also won the 300 hurdles in convincing fashion. Bayfield’s Mikayla Barnes took second in the shot put with a throw of 36-01 inch. Paired with Lanning, that helped lead the Wolverines to a sixth-place finish Saturday with 50 points. Durango High School’s girls team won its third meet of the season and its second in as many weeks, as the Demons finished with 154 points. Alamosa took second with 115½. Montezuma-Cortez was third with 84, while Ignacio was seventh with 22½ points. Durango also won the boys team title, as the Demons finished up with 161.33 points, Alamosa was second with 140.33, Cortez was third with 91.20 and IHS was sixth with 25. The Durango girls 4x200 relay team, which consisted of Cassandra Blau, Anna Pylar, Emma Fitzgerald and Bekah Moenning, won with a time of 1:48.48, while the Demons also won the 4x800 relay, with the team of of Madeleine Burns, Fitzgerald, Angela McManus and Moenning won in 10:01.62. The DHS girls had two other winners, as Danielle Lee won the pole vault at 8-06. Hannah Whitmer of BHS was second with an 8-foot vault. 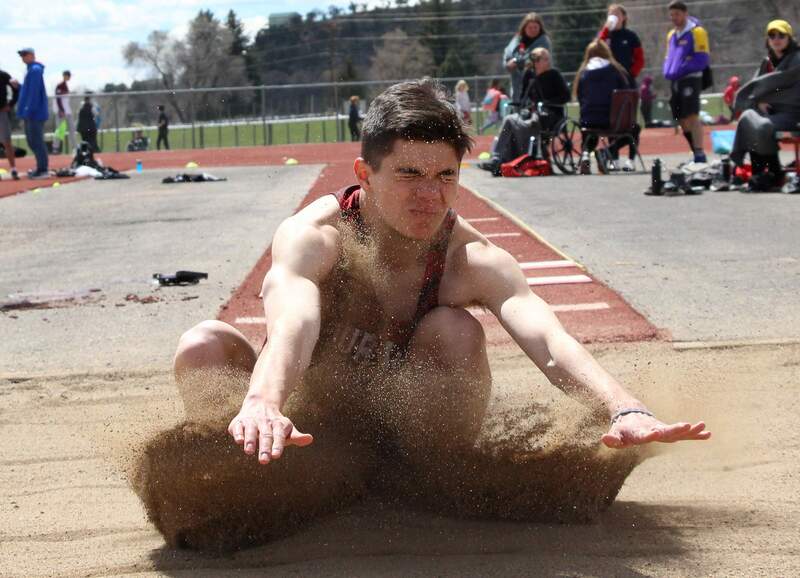 Durango’s Camren Hyde won the triple jump with a jump of 31-7.25, while Alyssa McConnell tied second in the high jump with a jump of 5-feet. Alex Hise had another stellar day on the boys side for the Demons, as he won the 100-meter dash in 11.53 seconds and was second in the 200 with a time of 23.29. He was four-tenths of a second behind Alamosa’s Chase Smith, who won in 23.25. Hise out-performed the competition in the long jump with a jump with a winning leap of 22-04. Cade Cowan of Pagosa Springs was second with a 20-10 jump. Bayfield head coach Josh Walton looked for special performances from his senior class, and he got them. David Hawkins won the shot put by nearly six feet with a toss of 53-09, as Caden Showalter of Mancos was second with a 47-06. In the discus, Showalter edged Bayfield’s Josh Kaufman, as his throw went 143-03 feet while Kaufman’s was 141-01. The other Bayfield win came from pole vaulter Dawson French, who had a vault of 13-feet, while Ignacio’s Jason Hampton-Foutz was second at 10-feet. For Ignacio High School, Lexy Young finished fourth in the 200 with a time of 29.73 seconds, while Charlize Valdez finished in fifth in the 1,600 with a time of 6:10.86. 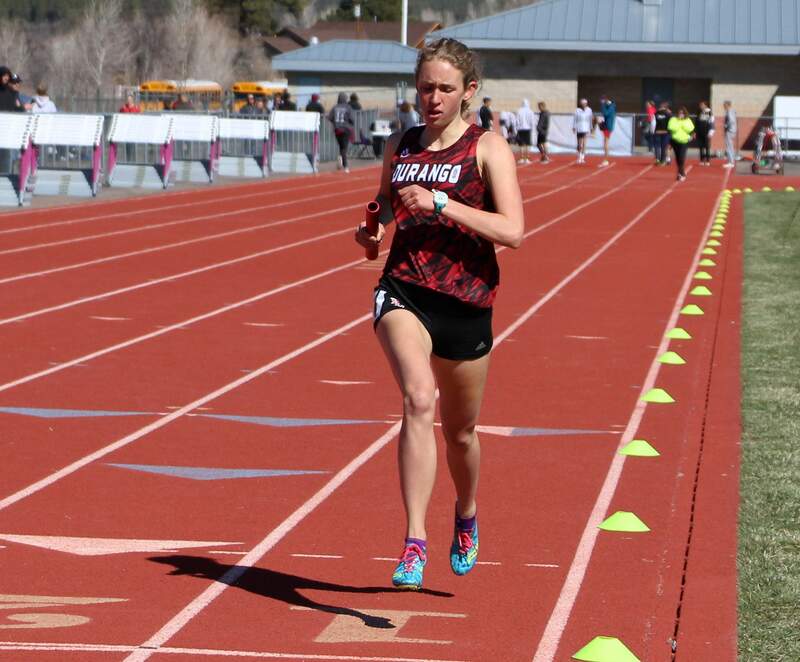 Valdez also was second in the 3,200 in 13:33.49..
All three schools will compete at the Ron Keller Invitational Saturday at Durango High School.